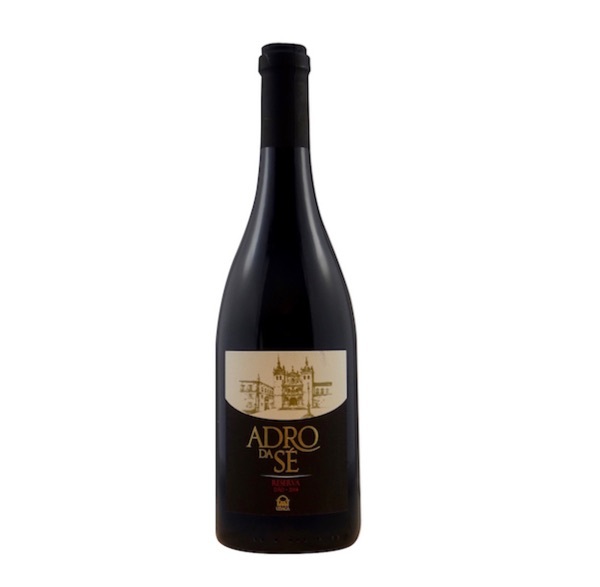 Adro da Sé red wine is a classic blend of 4 grapes from Portugal’s Dão region. Full of flavour this is a great wine to have at the dining table with rich meats or spicy dishes. With a ruby colour the wine has a vinous and elegant fragrance. On the palate the wine has a deep and intense taste with good tannin structure which gives it potential to improve in the bottle. The wine should be served between 16 and 18 Degrees C to accompany meat dishes and cheeses. Dão Region traditional method. Stored for 2 years in stainless steel vats, 6 months in French Allier Fino and 5 months in the bottle. This a great blend of 4 of the key grape varieties of the Dão region – a classic Dão blend! Powerful in flavour and with good tannins, this is a wine that will go well with cheese, rich meats and spicy dishes. Certainly a joy to have at the dining table! Lovely deep dark Dao. Lovely smokey and herbal nose. Big bramble fruits, good integrated body, nice m+ body and beefy tannins. Needs some time to open up and will certainly get better with a few more years. An incredibly well-structured wine from the Douro region. The wine is elegant, complex and an absolute pleasure to drink. A beautiful introduction to the wines of the Douro Valley. Excellent value! An incredible red wine from the Douro region of Portugal. A world class product from one of the most exciting wineries of the Douro valley.